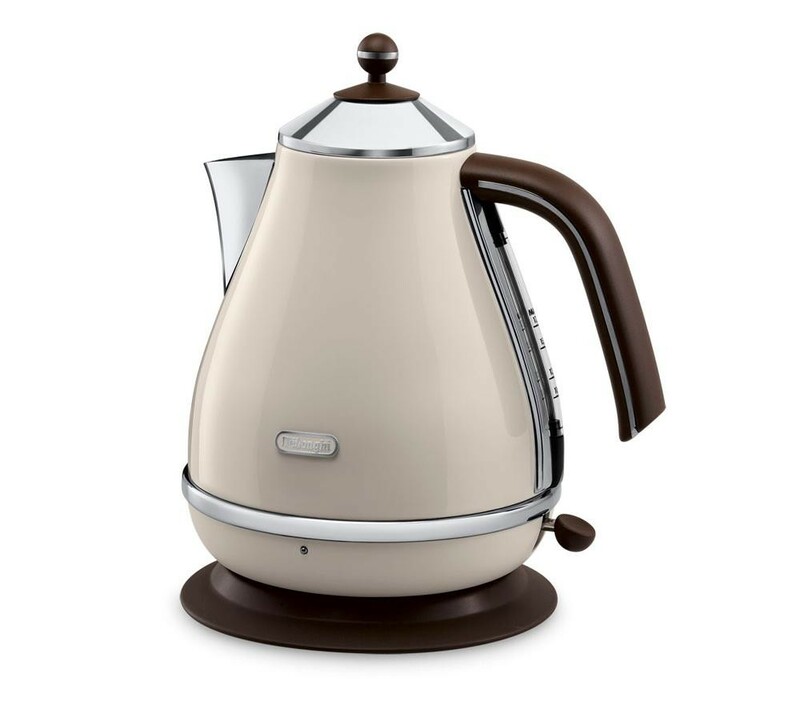 The Delonghi KBOV3001 vintage kettle arrives in cream with a brown finish, with a rounded base and conical lid. 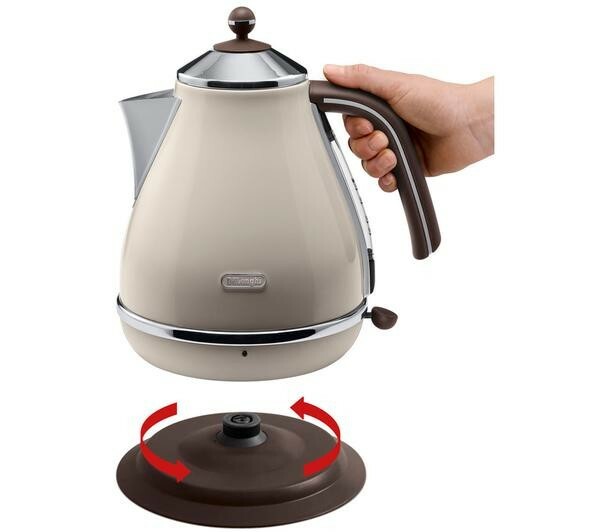 Design features include a long, easy-grip handle, water window and contrasting on/off switch. The KBOV3001 has a 360 degree rotating base with cord storage, removable, washable limescale filter and concealed element for fast boiling and easy cleaning.